Shopping for Anything: See How Las Vegas Looks! See How Las Vegas Looks! A lot of people probably don't imagine how Las Vegas in Nevada looks. Just like me I was thinking before that it is really a desert that no trees or grass that grows. I was wrong! 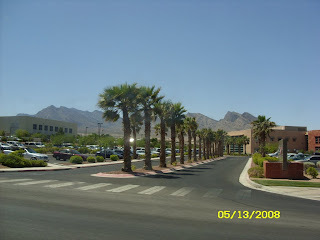 Las Vegas have beautiful palm trees around, In fact the way they water their plants and trees are automatic. They have sprinklers around the trees and plants. I was really amazed by that. I got here a photo which I took personally during my vacation in Las Vegas for two months last year. Vegas is truly fabulous!